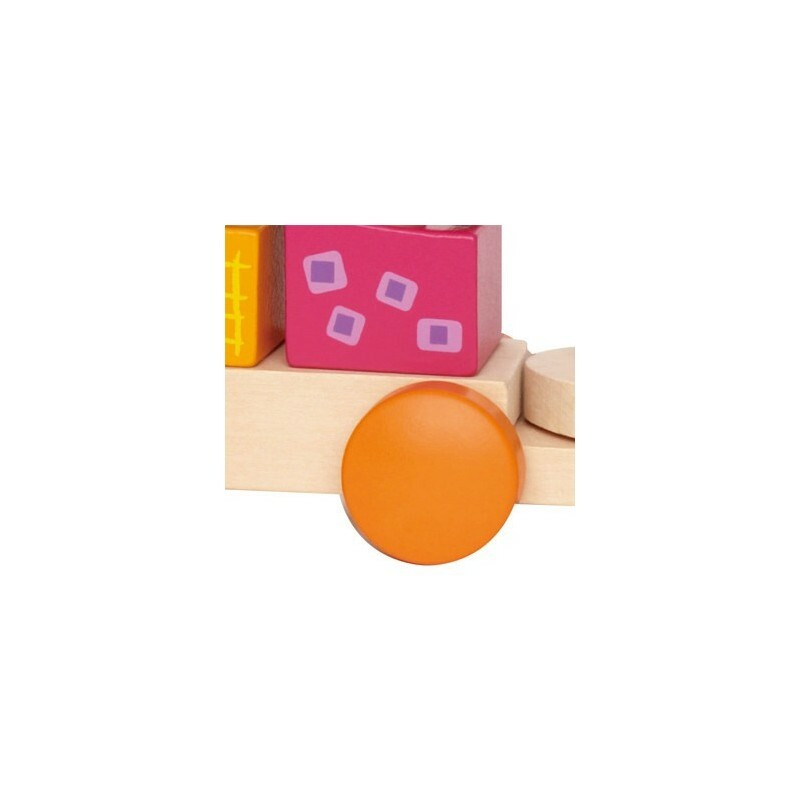 Uniquely shaped blocks with enchanting patterns inspire building in a whole new way. Interchangeable train cars add more possibilities. 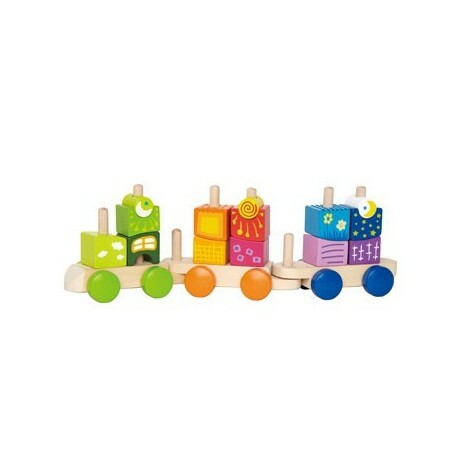 This train by Hape is wooden made, with water based paint.